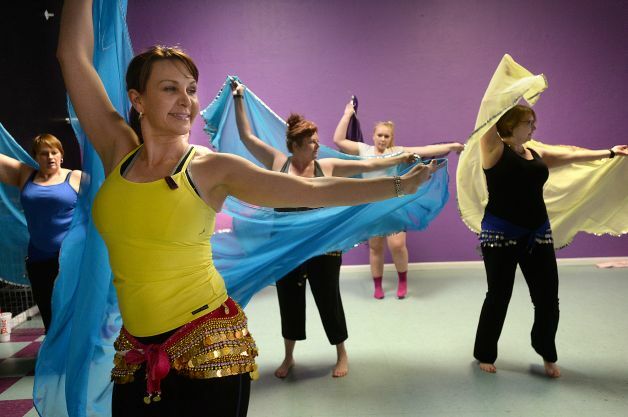 At The Belly Dance Studio, our motto is: “Let the art transform you!” And belly dance can do that… No matter your shape, size, age or fitness level, you can enjoy ALL of the classes offered at The Belly Dance Studio. Looking to get fit? Want to learn and explore the art of belly dance? Need some time away from the kids and want to have FUN? All this and more happens at The Belly Dance Studio! Perfect for “Never Danced in my Life” level and up! Perfect for beginners to Belly Dance and great for those trying to polish their technique! What can you expect? Learn those smooth movements and isolations that make belly dance so mesmerizing! Snake arms, body undulations, belly rolls, head slides, and the transition steps that will take you to a new level of AWESOME! FUN and popular class….. early enrollment is HIGHLY encouraged to secure your spot!! Sunday Classes are enrolling now! For all levels, beginner and up. 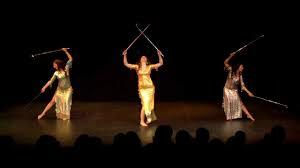 Foundation moves, learn basic dance movements with sticks/canes and explore the history of The Saidi Dance. Professional Belly Dance Artist Dilara Sultan and special guests will introduce students to the basic rhythms of middle eastern dance, their significance to performances and their zill patterns. Students will learn to play the zills as well as and drill foot patterns and dance combos. Students will also explore the various folkloric dance styles of the middle east as well as stylizations of Oriental Dance. Must have completed one month of Belly Dance Basics in order to take this class, please contact your dance instructor with any questions. Please bring zills!!! 6 Comments to "Belly Dance Classes"
How many sessions do you get for the $50.00 requested for Belly Dance 101 Class? thank you for your message Vickie. Sorry that we were not clearer in our wording. We will fix that ASAP! To answer your questions, the $50 cost is for 4 classes. 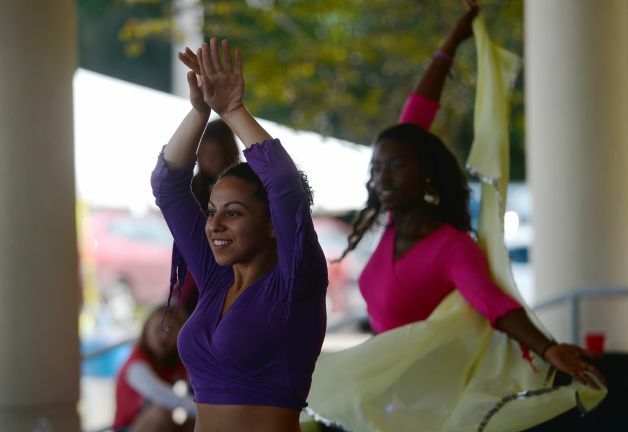 Belly Dance 101 is 6:30-7:30 pm every Tuesday night. Drop in rate is $15, so you save $$ buying the entire month. If you want to try the first class at $15, and then at the end of class WHEN YOU DECIDE YOU LOVE IT AND WANT TO TAKE THEM ALL….. we will apply that $15 to the remaining balance. Thank you and if you have any other questions, please feel free to call out studio 409-790-7669! What is a dance journal? Hi Zoe! we encourage our students to bring a small empty book to use as a thought book/journal. Take notes in class, make notes about music to download and practice to. Making a dance journal and bringing it to class helps students to remember what they learned in class and also is a great place to keep thoughts and questions organized to ask your instructor when you return the following week. hope that helps…… and hope to see you SOON! If you have any other questions, please call or txt us at 409-790-7669! Hi Dena! Yes, we will have Belly Dance 101 on Wednesday Nights in October. Class time is 6:30 – 7:30 pm Be watching – our “early Bird” sign up for classes begins tomorrow. Our drop in rate is $15, but if you sign up for the month, all 4 classes is only $45! If you have any other questions, please call us at 409-790-7669.